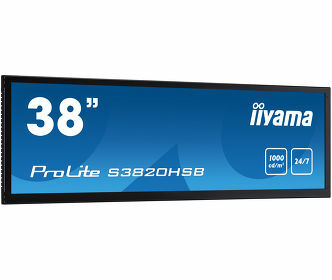 December 20th, 2013 – iiyama, one of the leading manufacturers of high quality monitors, announces an expansion of their LFD range with two large format displays, 47” ProLite LH4780SB and 55” ProLite LH5580B, both designed for digital signage. Incorporating LED-backlit technology and 24/7 design, LH4780SB and LH5580S both guarantee low power consumption and reliable long-term operation. In addition to the high resolution, they feature wide viewing angles and perfect colour clarity of the panel. The 47” offers 700cd/m² brightness, which assures crisp images even in brightly lit environments. Build in expansion slot supports the Open Pluggable Specification (OPS) standard; it simplifies the installation of a plug-in PC for digital signage applications. The displays are therefore perfectly suitable for places like airports, shopping malls, showrooms and conference rooms. The professional appearance of the monitors incorporates a slim and elegant design. Landscape, portrait and table-top compatible, the units will adapt to any specific signage needs. 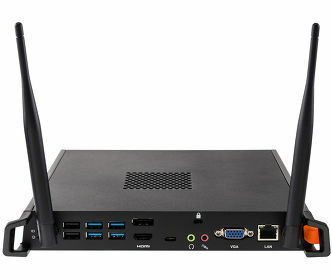 Features include PIP and PBP perfect for Video Conferencing or handling multi-input content in many environments. The integrated speakers and a range of connectivity options ensure compatibility across various devices and media platforms. Based in Japan, iiyama is a leading international monitor manufacturer. The company was founded in 1973. 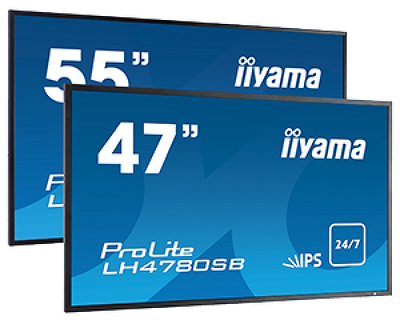 For more than 20 years now, iiyama offers a great range of monitors suitable for households and professionals. Its success has been achieved by the consistent evolution of high quality product at accessible prices. Utilizing the most up to date technology has become an essential element of the manufacturing process and focus for consolidated purchasing. iiyama International, our European headquarter is based The Netherlands.